A boating holiday in Germany makes out the perfect family holiday. The wonderful mountains, surrounding woods, and historic castles sets the frame for a picnic, a biking trip, or sightseeing on your boat holiday in Germany. Bring your own bikes on the boat or rent some by the base for a small fee. Any water-loving kids or adults onboard? Germany offers a broad range of possibilities for an active holiday by the water; rent kayaks at Müritz National Park for half day or more, or test your balance on the windsurfing board. The German landscape is an Eldorado for fun water sport activities, while the calm and clear water of the lakes calls for reflection and recharge of your mind. The picturesque botanical garden in Mirow is one of the oldest of its kind in Germany. The beautiful and inspiring flora of the garden makes it a great destination for a nice getaway. The medieval towns of Röbel, Plau, and Waren are worth a visit! Stroll down the cobblestoned streets and enjoy the endearing charm of the townhouses by the waterside. The impressing baroque castles in Schwerin, Rheinsberg, Fürstenberg, and Neustrelitz can be enjoyed from the boat accompanied by a glass of wine. The unique experience of exploring the German high culture from the boat is something out of the ordinary! 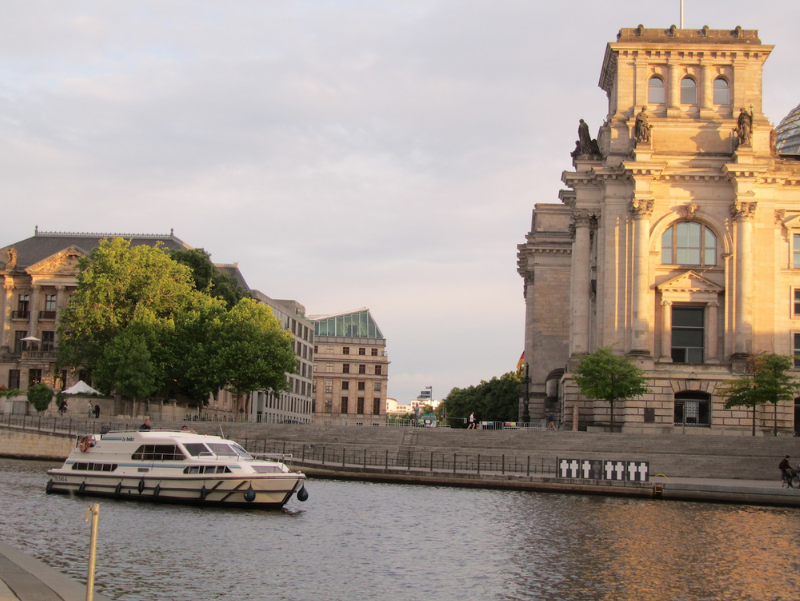 Experienced sailors with a sailing certificate has the option to sail into the big city of Berlin. The abundance of shopping streets and cultural attractions of the city is overwhelming. Numerous historic monuments and museums marks the historic importance of Berlin during the Second World War. Do not hesitate to investigate the many culinary offers – Berlin booms with great food experiences of international scope! Read more on riverboat trips to Germany here. Boating holidays on enables you to enjoy the charming medieval towns and impressive big cities of Germany from the waterside. 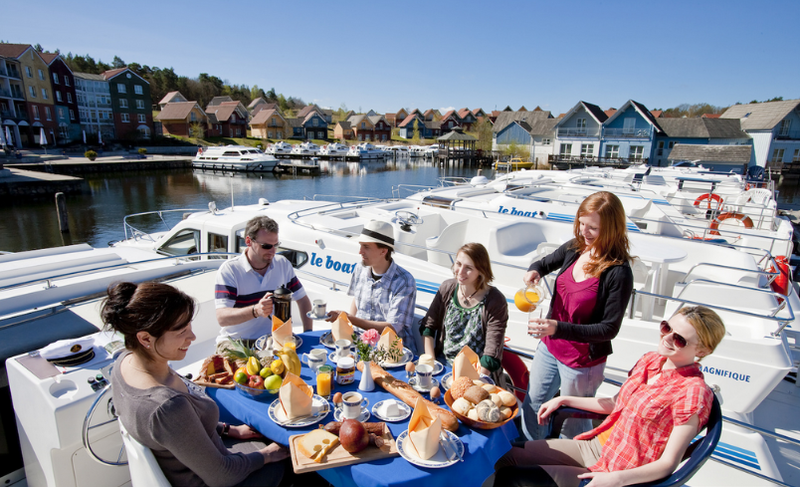 Eat your lunch on board of the boat when taking a break in one of the local marinas. A boating holiday with Seatravel gives you the freedom to enjoy your lunch while inhaling the fresh air and enjoying the beautiful settings.